The game presents itself in simple graphics. 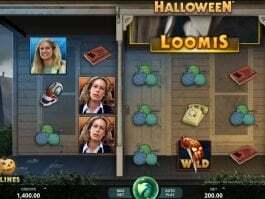 The concept of this free slot game has been borrowed from famous fantasy novel Alice In Wonderland written by Lewis Carroll. There is no background as the bright reels occupy most of the game screen. 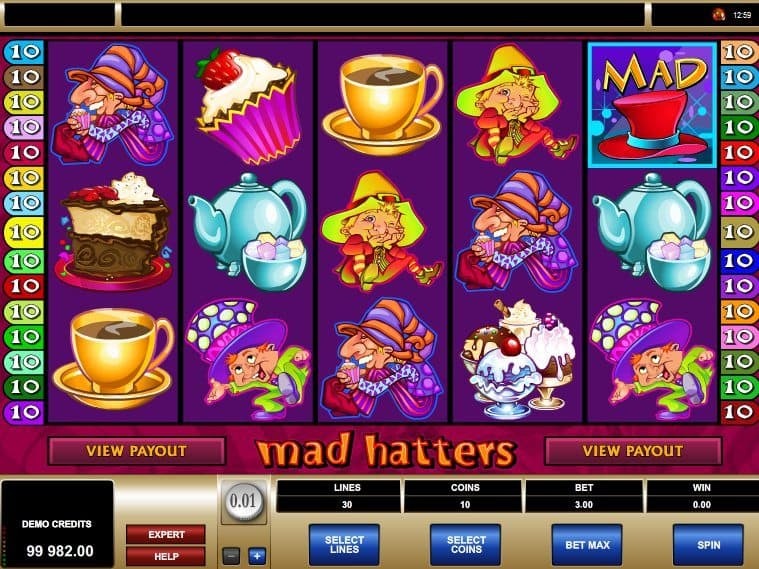 The interface of Mad Hatters is self explanatory. 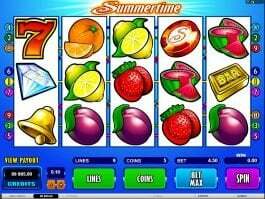 You will find control options located at the bottom of the reels, with which can select coins and enable paylines. You can select coin size between 0.01 and 0.10. 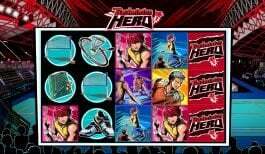 When red top hat symbol lands on 3rd reel, it would expand to cover all positions offers you with more opportunities for winning combos. The maximum payout offered during the base game session is 20,000 coins! When you collect three or more cuckoo clock symbols appearing anywhere on reels, Cuckoo Bonus round is activated. Three clocks would be displayed and you have to select one to reveal a coin value. Blue rabbit emerging from the hat triggers free spins. Three rabbits offer 10 free spins. 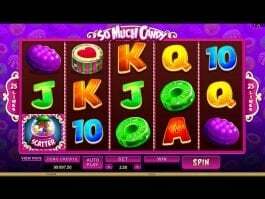 Matching four rabbits offer 25 free spins and 5 rabbits allow you to have 50 free spins. All wins during this round get doubled. 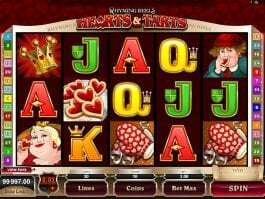 The red top hat performs the role of wild and helps you to win the highest payout. The blue rabbit and cuckoo clock act as scatters and triggers free spins and cuckoo bonus rounds respectively. 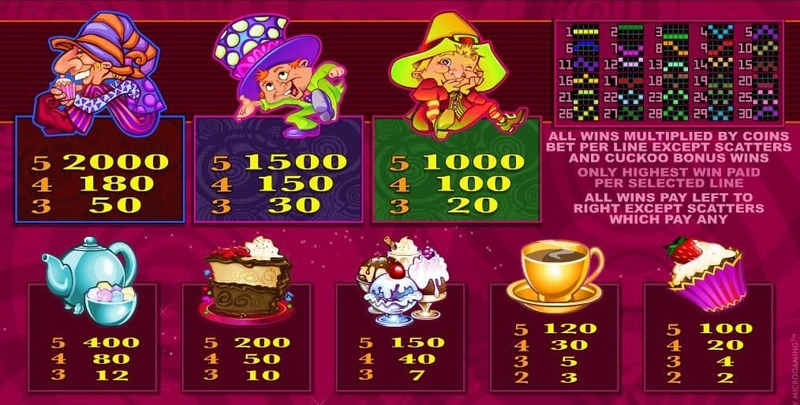 Other symbols that make the game impressive are cup of tea, cup cake, teapot, slice of cake and different ice creams. Mad Hatters makes a bold representation with delicious symbols and twinkly music. 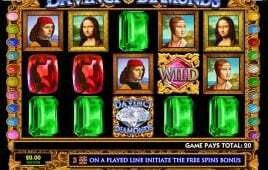 The free spins and cuckoo bonus round make the game really profitable.